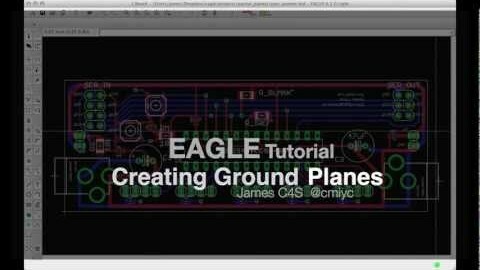 A couple of weeks ago I posted an EAGLE Tutorial on creating Ground Planes. That tutorial has now been updated with the above YouTube video showing the steps. Let me know if there’s anything else I can do to make it more clear. A very little known feature of EAGLE is the ability to type commands instead of clicking an icon on the toolbar. This can come in handy when trying to perform multiple actions like selecting a group and moving it to a different part of the schematic. For me, since I use OSX trying to use function keys in EAGLE can be more cumbersome than typing a few letters.